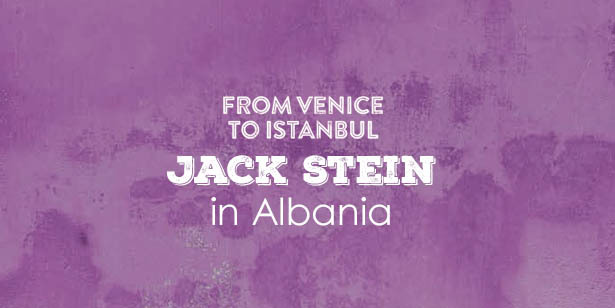 “It was Rick’s idea for me to join him in Albania for his new series From Venice to Istanbul, the last time I filmed with him was in Germany and I was flying to Indo, this time I was on my way back from there. He asked me “Would you like to go to Alabania?” I replied, “Why not?”. If I’d have known he was planning on taking me up into the treacherous mountains roads of Albania, off the beaten track, on the hunt for goat shepherds, I might have suggested I join him on the Venice leg of the trip! We finally found the shepherds after 5 hours of searching up and down the mountain roads. They prepared an intestine and meat kebab style dish for us, it had lots of different textures throughout it which was quite interesting as the flavours changed as you worked your way through it – everything was nicely chargrilled though. I have a lot of respect for the Albanian’s desire to want to preserve the biodiversity of their land. They’ve seen how countries like America have focused on corn but don’t want to follow suit. The best thing about travelling with Rick is that the crew are so experienced, they are seasoned professionals that get most things captured in the first shot and don’t go on to work too late into the afternoons. One of my favourite memories of the trip has to be David (Pritchard) trying to get Rick and I to go up and down the same mountain road so the crew could get passing shots of us in the taxi. He was shouting at us through the megaphone calling us whimps, but Dad and I refused to keep doing it – we just hated those roads! The taxi driver took one look at our faces and decided he should stick with our decision – hopefully David still got the shot he needed!